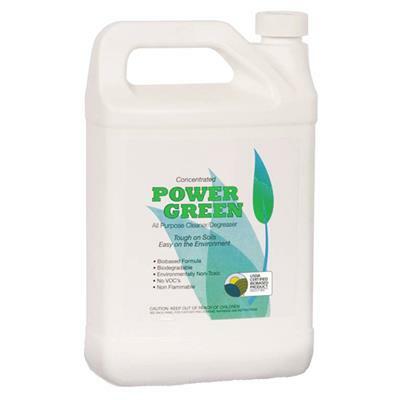 Power Green is a concentrated, heavy duty, multi-surface cleaner formulated to be environmentally friendly yet strong enough to handle the toughest cleaning tasks. Power Green is designed to remove carbon stains and greasy residues from walls, floors, machinery or any washable surface. This versatile cleaner may be used as a spray and wipe cleaner, for damp mopping, automatic scrubbing, and high pressure washer/steam cleaning. Power Green can be diluted with both fresh and salt water.